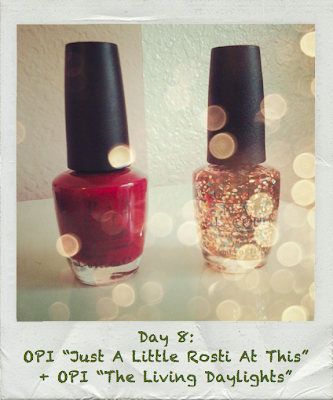 What I Blog About When I Blog About Books: 8th Day of Christmas: OPI "Just A Little At This" + OPI "The Living Daylights"
8th Day of Christmas: OPI "Just A Little At This" + OPI "The Living Daylights"
It's the 8th Day of Christmas Manicures, and I have for you a combination of a deep wine creme and a chunky glitter to put you in the holiday spirit. OPI's "Just A Little Rosti At This" is a polish I've had for a long time. It's probably the first deep red polish I've owned. It's from the Swiss collection back in 2010 and is a deep wine red with a slight hint of berry to it. If you don't have this polish, any deep wine creme will do. OPI's "Skyfall" from the Skyfall collection would be a good alternative. OPI's "The Living Daylights" is a glitter with silver, teal, and bronze/copper hexagonal glitters in a clear base. 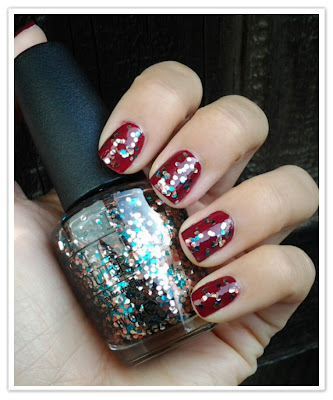 This glitters continues to surprise me at how much it really reminds me of the winter holiday season. 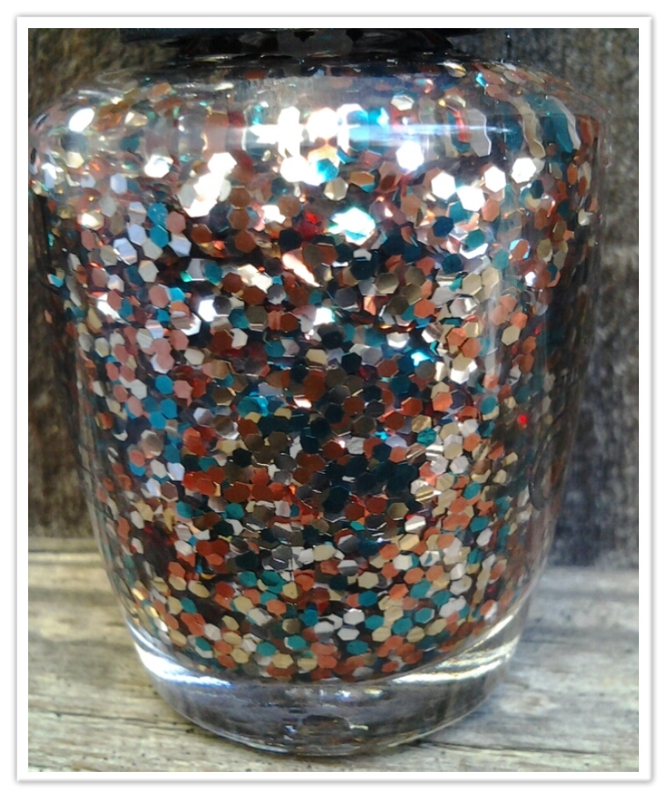 When I initially saw the bottle I thought the glitter was beautiful, but I didn't necessarily think "holiday." However, I've discovered that you just have to find the right combinations and this polish can be a great surprise! 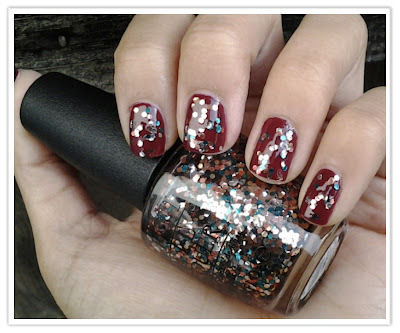 I think the chunky glitter really stands out against the dark red creme. If I were to redo this polish combination, I probably would try harder to get less glitter on my nails. That is the one con to "The Living Daylights." It's difficult to control the amount of glitter you layer on top. Either way, I think this combination is fairly festive, maybe not so much as some of the others, but I still get a holiday vibe when I look at it on my nails. That concludes the 8th Day of the 25 Days of Christmas Manicures. For the next manicure I will have, what I view as, the most classic holiday manicure. Yay! "The Living Daylights" has to be one of the most difficult polishes to remove so hopefully you're using your glue method!